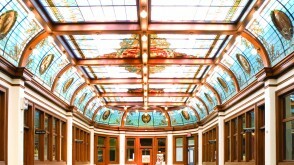 Your admission to Ohio Wesleyan University is your first connection with a worldwide OWU community of scholars, leaders, and innovators across almost every field in this great, global society. 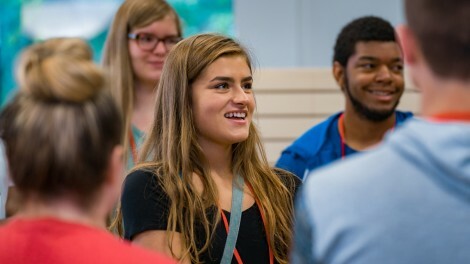 In your next four years at Ohio Wesleyan, you will have incredible opportunities that you never dreamed of to dig into your passions, study abroad, meet lifelong friends, intern in premier organizations, and explore the world with amazing faculty scholars who are devoted to the art of great teaching. Four years from now, you will leave our beautiful campus prepared to live a life of personal and professional fulfillment - and engagement in the global community. For now, see the important information below about your next steps in your OWU life. The New Student Checklist is a list of some important items that you need to complete prior to enrollment. Attend the Student Involvement Fair in early fall to find out about the 150+ clubs, organizations, and activities that OWU has to offer! Domestic students can accept their financial awards for fall semester by visiting the link below. 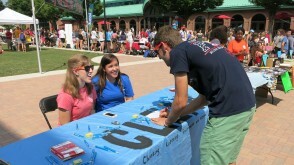 Meet other incoming Bishops and join in on conversations about majors, housing, and more. Is there a list of what to pack? Yes! It's hard to know what to pack for your first semester. Get a full list of "Bring THIS, not THAT" below. You don't want to miss this exclusive event for all admitted students. 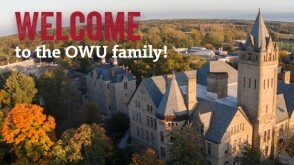 Experience life on campus and meet with faculty, coaches, and other members of the OWU community. You might even meet your future roommate!